Rather than rehash typical advice for couples, Edward L. Fairley offers some unexpected twists to conventional thinking that provide the reader with what sounds and feels like “inside information” even about the most intimate of communications. He does not shy away from specific instructions about how to navigate sexual intimacy and communicate differences in assumptions, interpretations, and expectations. 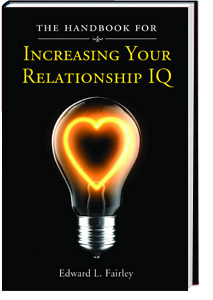 My first thought when I saw this book was how different it looked than most other "self-help" relationship books out there. That alone prompted me to give it a read! From the very first chapter, I found myself nodding along with everything that is presented in this book. As a person who has been bombarded from all sides with relationship advice after choosing to spend the last 8 years with the same person, it was like a breath of fresh air. Finally! Finally someone understood the thoughts that went on in my head in reference to a long term relationship. I grabbed the book, sat down with my long term boyfriend, and we read through it together. Let me explain what really struck me about this book. Edward L. Fairley gives advice that makes sense! In fact, the first chapter is about letting go of the stereotypes and common misconceptions that surround the terms "male" and "female". If that isn't enough to make you realize how progressive this book is, give the chapter about treating your mate how they want to be treated, not how you want to be treated. That age old adage has officially been twisted into something that makes much more sense. It's a little hard for me to explain, but those of you out there who are in long term relationships or married will understand. No matter how much advice is given, inevitably a healthy relationship is all about learning and growth. Edward L. Fairley points that out in stunning color in this book and I am so appreciative of it. Suffice it to say that this book will become a staple in home, and I'll be passing it on to those I think can benefit from it. Well done Mr. Fairley, well done.